After Bandhani and the idea of Gujarat Folk Dances became popular in Bangalore, we decided to create another Gujarat folk based dance drama production next year titled Bhoomi – The Salt of The Earth . Unlike Bandhani, that was a showcase of different dance forms along with showcasing of the bandhani fabric produced and stitched by the artisans of Kutch, Gujarat. Bhoomi was a story of an unsung real life hero in Gujarat called Rupali Ba, a woman of ultimate test of grit and compassion and her stories of how she was heroic and fought a powerful band of bandits even after losing her own husband to them, just to save an entire village caravan from being killed and in the process succumbed to her injuries. Her tale is not known to a lot of people even in Gujarat, leave alone the entire country. 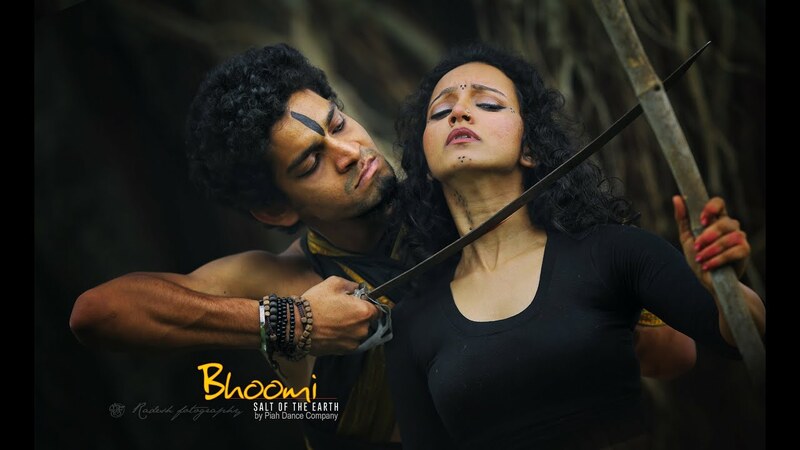 Bhoomi was performed in various theatres including the Jagriti Theatre, Bangalore in January / February 2015 and we had the honour of receiving a full house for a folk tale that was unknown to most people till then.